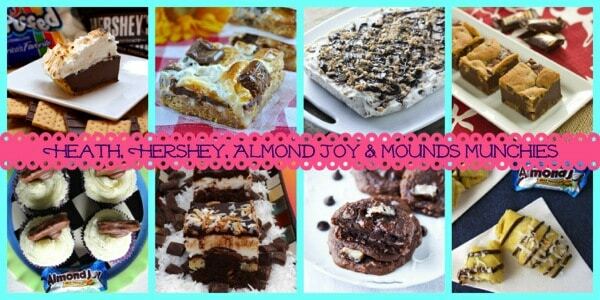 Leftover candy recipes make the best desserts even better. 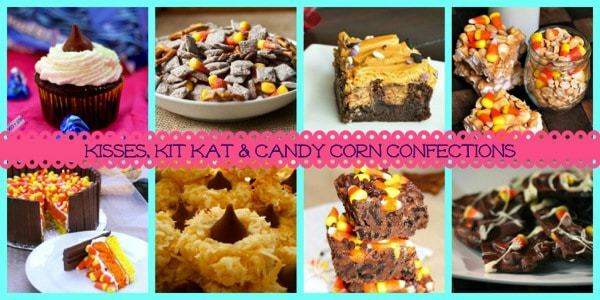 Whether you still some Halloween odds and ends hanging around or just want to make your favorite treats into decadent sweets, you need to check out this collection of Over 50 Recipes to Make From Leftover Candy! OK, time for us all to come clean. 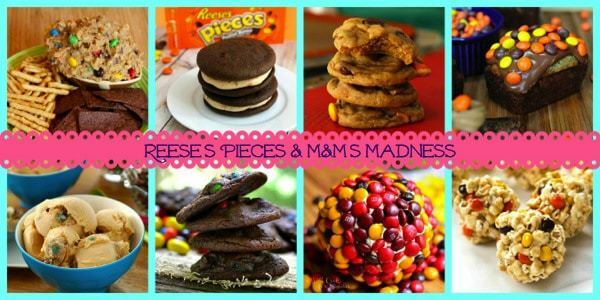 You totally sneak some of the Reese’s out of your kids’ plastic pumpkins? Or is that just me? I’m going to venture a guess that most parents have snatched at least a few of their favorite candy bars from the loot collected by their kiddies while trick-or-treating on Halloween. Let’s talk about Easter and Valentine’s Day, too, which are a couple more candy-heavy holidays. I may or may not be guilty of insisting that I don’t want any candy as a gift for those holidays, but I’ll just have a nibble or two of my boys’ treats. But the one thing that may be exclusive to food bloggers is snatching some of that candy for the sole purpose of turning into an even more decadent dessert. 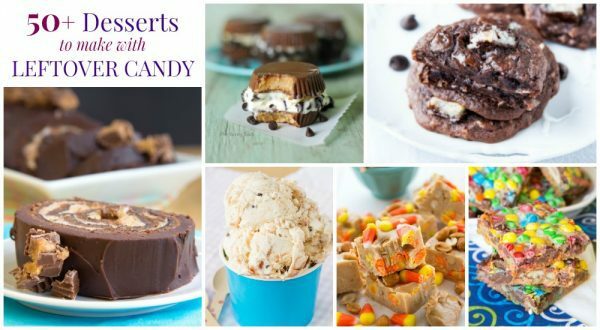 Yes, we fold our candy into ice cream, stuff it into cookies, sprinkle it in brownies, and sometimes even melt it down to turn it into something completely different all so we can tempt out readers with amazing dessert recipes made from leftover candy. Please note: Most of these photos do not belong to me. 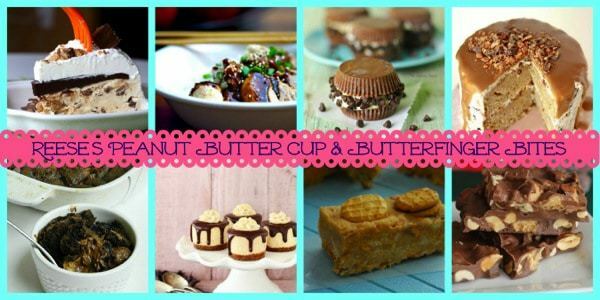 If you want to pin a specific recipe/image, please click on the link to visit its original source. If you want to pin this entire collection please pin the collage above. 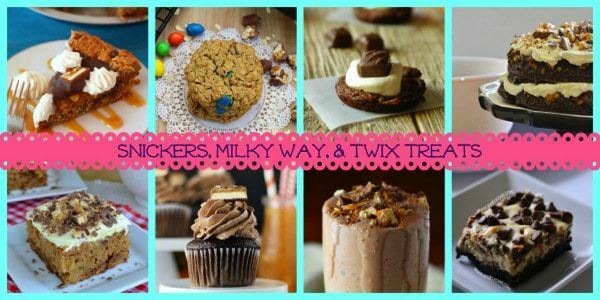 Snickers Monster Cookies from What’s Cooking Love? Every year I buy tons of Halloween candy in hopes of having lots of trick-or-treaters and every year I’m lucky if I get 15. 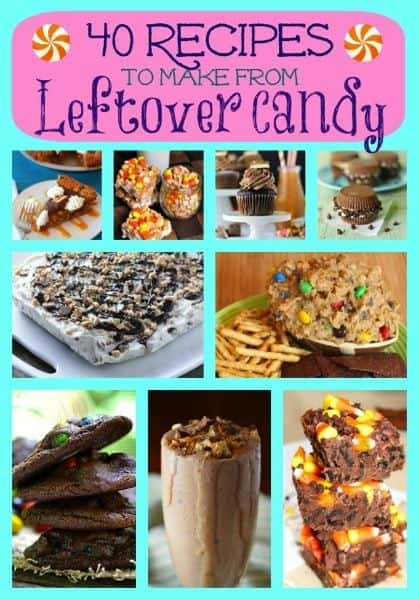 This gives me plenty of ideas of how to use all that left over candy! Thanks Liz! So many out there to choose from!